A 1958 Lockheed Constellation “Connie” L-1649A Starliner airplane is becoming a cocktail lounge and event space at the TWA Hotel. Photo credit: Aaron Flacke. NEW YORK—The TWA Hotel’s 1958 Lockheed Constellation “Connie” L-1649A Starliner airplane is completing her 300-mile journey from Auburn-Lewiston Airport in Maine, where she was fully restored, to her new home at John F. Kennedy International Airport here today. The Connie (tail number: N8083H) will become a one-of-a-kind cocktail lounge and event space at the 512-room hotel opening in spring 2019 and located at the landmark 1962 former TWA terminal designed by Eero Saarinen. 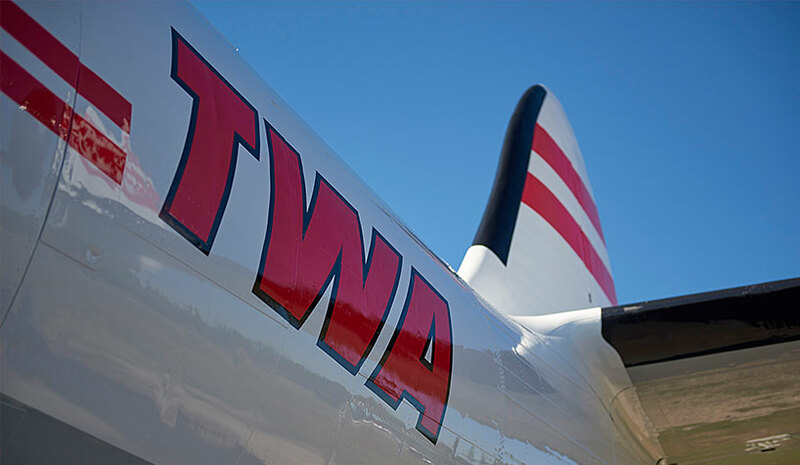 Decorated in authentic TWA livery, the disassembled Connie was loaded on two separate trucks—one for the fuselage, one for the tail. Escorted by a convoy of state police and civilians, she has trucked through Maine, New Hampshire, Massachusetts, Connecticut and New York on a journey that began on October 9, 2018. The plane’s wings and engines will travel separately. TWA Hotel’s Connie—one of only four remaining L-1649As in the world—is a critical piece of Trans World Airlines’ history. Commissioned by TWA’s eccentric former owner, Howard Hughes, the Lockheed Constellation fleet served as Air Force One for President Dwight D. Eisenhower in the 1950s and broke the record for fastest nonstop trip from Burbank to New York with Hughes at the helm in 1946. Saarinen designed the former TWA terminal around the propliner, but when it opened in 1962, jets had come on the scene, making the terminal functionally obsolete. MCR/Morse Development partnered with Atlantic Models/Gogo Aviation to restore Connie N8083H to her original condition at Maine’s Auburn-Lewiston Airport. Worldwide Aircraft Recovery Ltd. disassembled, is transporting and will reassemble the plane, and Bay Crane will hoist Connie into her new home on the “tarmac” outside the hotel.